It is extremely important to collect and transport the specimen properly so the laboratory can recover a pathogen. It is important to identify the source of the culture because growing conditions and tests to identify pathogens are specific. 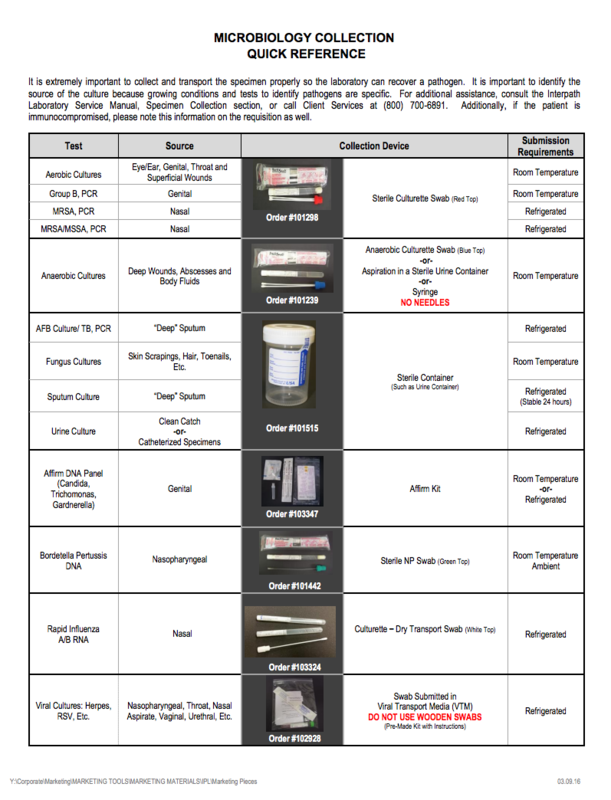 For additional assistance, consult the Interpath Laboratory Service Manual, Specimen Collection section, or call Client Services at 1-800-700-6891. Additionally, if the patient is immunocompromised, please note this information on the requisition as well. We update this guide periodically, and the latest version can always be viewed or downloaded from this page.